Jim and Ricky, the guys from Income School are back at it just a couple of months after launching Project 24. This may be one of their most ambitious project so far and its all about putting your money where your mouth is. Going all out. 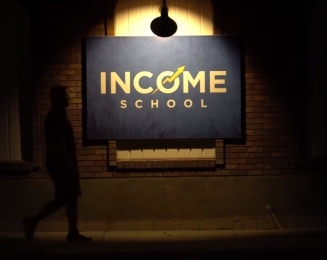 In this post I will be looking at the latest project by the guys over at income school Jim and Ricky. 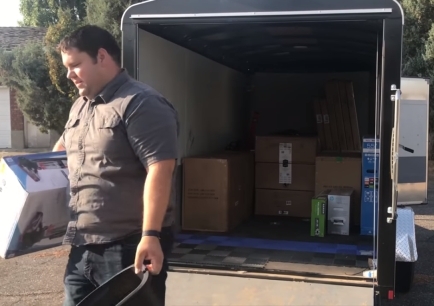 It’s called Project Rexburg and finally the guys at income school have decided to double down their efforts and put their money where their mouth is. Project Rexburg is all about experimenting what the results will get if you were to create a sort of boiler room of writers creating content on the massive scale for site creation. All this was started by a comment by Antoine, who mentioned that considering the fact that Jim and Ricky state that the average return on investment when they create a new site is a certain amount of money. So why would scaling the content creation and site generation to a certain level, wouldn’t it create or generate even more income? 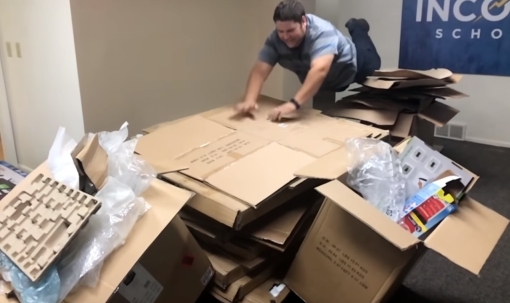 So while Jim has tried in the past to scale this business by getting the physical office and employees, the overhead unfortunately surpassed the income generated and wasn’t profitable. So will this time be better. We are trying again generate success for Jim and Ricky? But the boys are down, and ready to roll. So What Exactly Is Project Rexburg in Idaho. So Jim and Ricky rented an old nineteen seventies house, huge space, in the bid to turn it into a modern tech office. 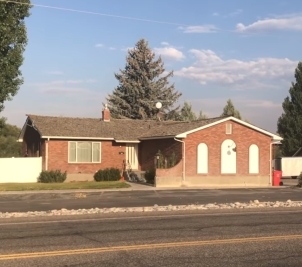 This location, this house located in the Rexburg, Idaho, was specifically targeted because of its proximity to Brigham Young University located in this town. This will enable Jim and Ricky get a constant flow of college students ready to write and work for some extra income. The students will generate the articles and contents needed to launch multiple niche sites in an effort to scale the income school strategy. Jim believes that with this team of writers, they should be able to generate about 200 pieces of content, long-form content, every month.. So while the 1st attempt of Jim to convince Ricky about starting project RexBurg failed due to the fact that the timing wasn’t right. It looks like the time is right now and it going ahead. Jim and Ricky clearly know that the income school strategy of creating websites based on quality content works for them. It also works for many of the students in project 24 were currently having success in various degrees. With project Rexburg though, the strategy will be put under test and experimentation. The results will show if this is something anyone can do and succeeded. So 15 desks, 15 chairs, 15 laptops etc for 15 people have been acquired and at the time of this post, the office should be set up and ready to roll. Here is the income school creative studio, not yet ready but will soon be. All Launched By Ricky’s Huge Flying Belly Slam. 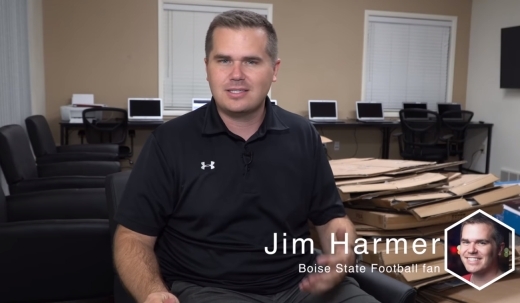 Since Rexburg Idaho is about 5 hours drive away Jim and Ricky’s homes, there is actually going to be a room to accommodate them in case they work late into the night or sometimes need to sleep over at the office. This is an incredibly huge endeavour for Jim and Ricky and we can’t but hope for a huge success to this experiment. The storage place has been allocated for props that will be needed during the nature creation website process. For example, a terrarium has been acquired for the generation of ideas while creating a niche site on pets. This is going to be a touch and feel experience and it reflects the quality of content the income school guys propose to create. The writers will be able to be hands on with whatever they need to create the content they are writing about. Jim And Ricky Are Going For Broke. With massive investments into the strategy they’ve taught over the years. It’s time to take chances. It’s time to take chances for the viewers and people following the system. So with the whole team of writers, all goals will become easily achievable in a matter of days. Setting content is needed on a certain topic, Jim and Ricky can simply mention this to the team and the content should be done and sites realised the team can also be used to test out ideas suggested by the students at income school. That’s a very good thing. 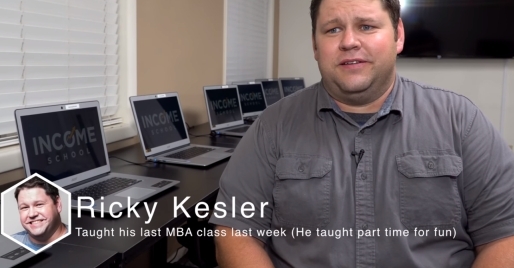 So it’s well known that the guys over at income school always share the websites they create. In this case however project rexburg. The websites won’t be mentioned in the beginning. This is to make sure that traffic numbers and income as well as click-through rates from Google and not artificially influenced by people visiting the site directly. Some consider the direct entry into website to because to be a ranking factor in Google based on the popularity and traffic of the website so it’s not convenient to mention the URLs for the meantime. In the long run, the websites will be revealed to the public once they’re up and moving. The timeline for the 1st phase of the project should be about 6 months during which methods and tactics will be discussed and explained publicly but the URL won’t be mentioned. Specific details and secrets of the project will be however shared inside the project 24 group. This is a group of paying customers that are a close-knit group. Those inside this group we receive information on the website as well as the URLs as an exclusive. So What Do You Think About All Project Rexburg? Are you going to be building a niche site along with this case study? This show motivated me to pump out more content for my websites. I’ll be following along and I hope for this to be a huge success. So now also be looking into project 24 and reviewing it on this website but for now to find a profession about project 24 you can visit this link or check out Jim and Ricky on the income school YouTube channel. Thanks for reading down this far. As always, I wish you all the best in your endeavours. Your best bet contacting them is to leave a letter in their mailbox or speak to the project manager when you see him around. Hi there, I'm tired of hording 10+ years of Internet Marketing secrets. Watch me dissect my on-page SEO structure that has consistently taken me to the top of Google with little to no backlinks. My wife is tired of listening, so I might as well share this with you if you need it. If you are going to write all that content for your niche site, you might as well optimise it to be the best it can be and not just rank well, but rank as an authority. *They DON'T Teach You This In Project 24.